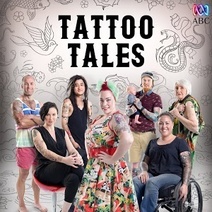 Tattoo Tales is a documentary series about at tattoo shop in Bondi, Sydney. It has been shown on ABC 2 and iView in Australia. It tells the stories of the tattoists themselves and their customers, and why they have chosen particular tattoos. Have you been watching the series, and if so, do you have a favourite episode or moment from the show? 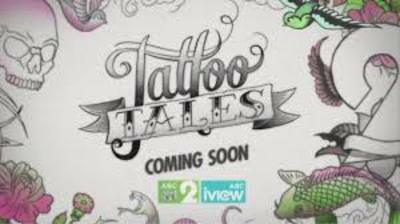 Teaser Image for Tattoo Tales, ABC 2, Fair use. I have seen an episode of something similar in the UK, can called My Tattoo Nightmare. It was a dockemtary following people who have had tattoos and regret, and adviced those who were cconsideringggettinga tattoo. No. I have seen one called Tattoo Nightmares that shows tattoo artistes correcting bad ink. Its a bit funny, some of those tats look like they were done by a 5 year old. Even though I don’t have tats my self, our youngest daughter & her partner have a few, I do enjoy the show. I have missed a couple of episodes, because they didn’t stay on iview long enough! I can't watch these shows. I find them painful to watch. No. Tattooing is the pits to me, so certainly wouldn't waste time watching a show on it! I have seen some like it....wasn't a fan really. So no the this one.